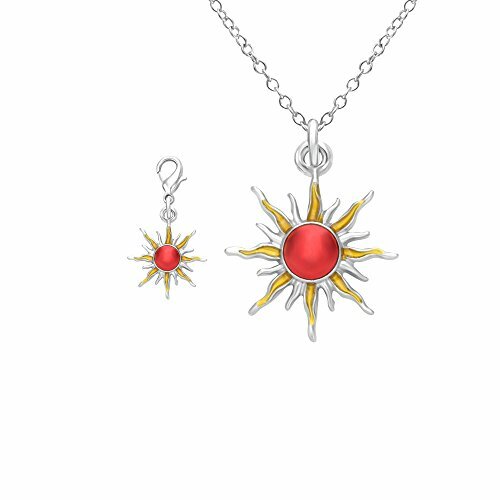 Material:Alloy zinc Pendant d:approximately 0.7inches/1.8cm;chain length:18inches/46cm+5cm Sun necklace with sun pendants,Multi-function pendant can use for necklace,bangle,keychain. 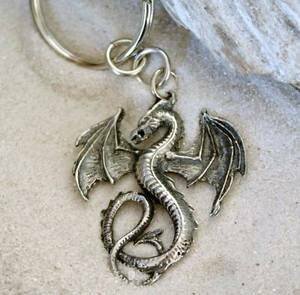 ELABORATE DESIGN-Very noble and fashionable. 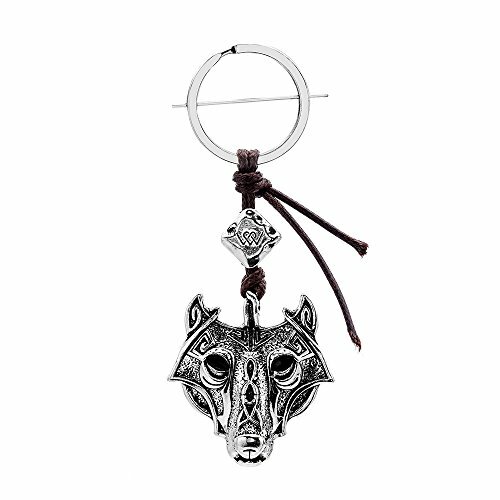 Wolf Head Pendant designed with Handmade Rope,charm vintage Pendant Viking keychain for mens and womens, There are 3 Colors for you choose:silver ox,brass ox,patina HIGH-QUALITY-metal:Lead-free nickel free cadmium free,vintage plating surface. 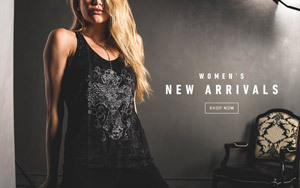 PERFECT GIFT - Ideal gifts for Valentines Day, Mothers Day, Anniversary Day and Birthday to your girlfriend, wife and mom and daughter and ourselves. 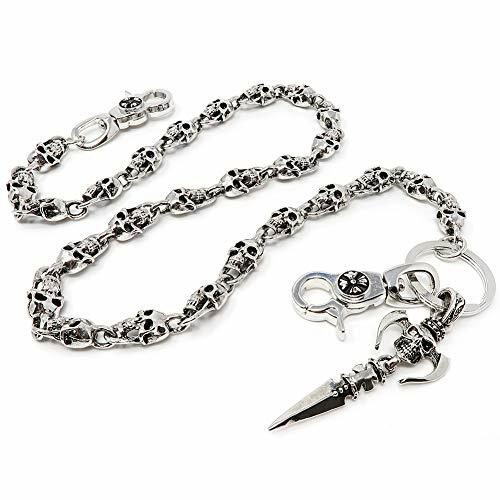 Color:Silver.Material:stainless steel.Gender:unisex.Style:fashion. 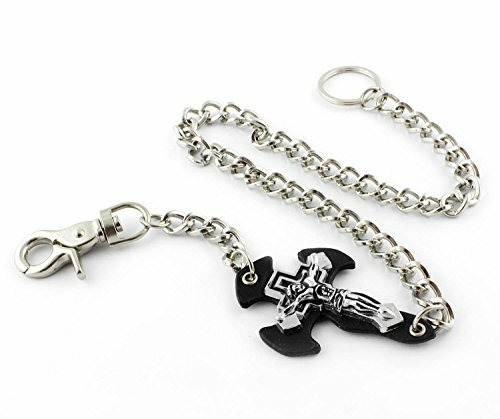 With three chains together. 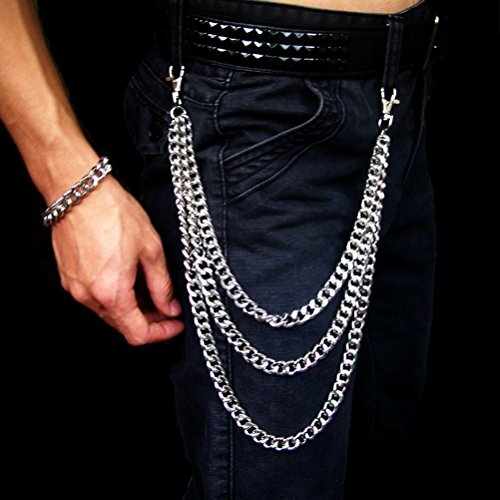 Wonderful choice to wear it for dancer, rock music, punk, hiphop lover. 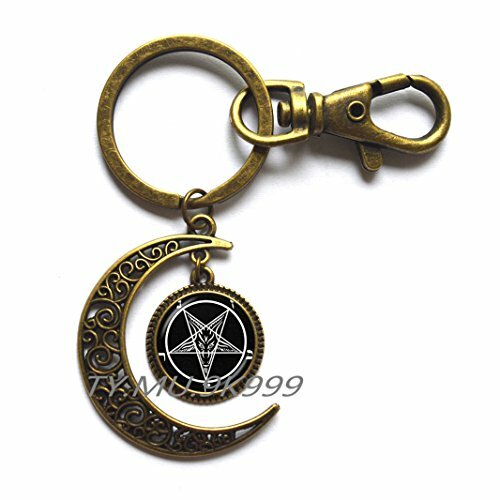 Material: Metal , Glass , Art Print Including:1pcs Moon Keychain,100% brand new, good quality, unique design Moon Accessories: 32mm*38mm,Glass Cabochon Diameter: 16mm,Key Ring Size: 30mm*30mm. 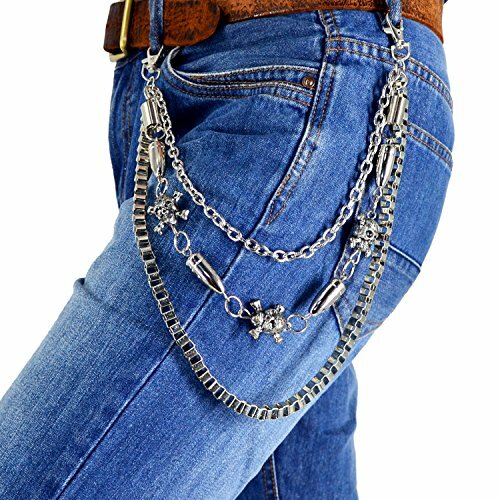 Readily hang sturdy swivel trigger snap closure on your pants or wallet. 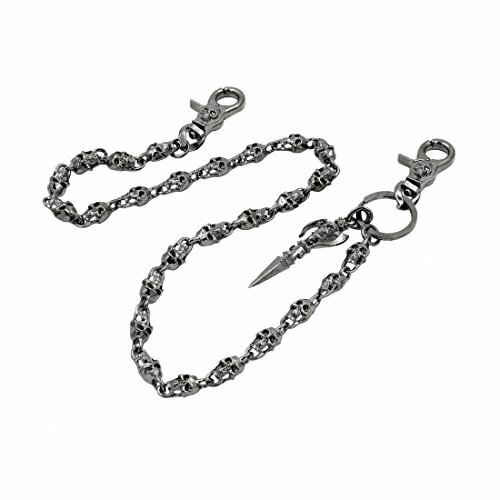 Trigger snap hook with spring-gate mechanism can't release accidentally and swivel eye prevents tangling. Useful to carry or store in UNIQSUM PVC mini zipper bag. It's very good for a gift. 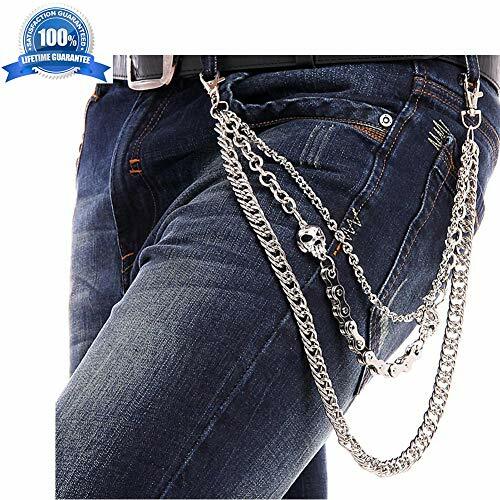 Wallet Chain Length (End to End) : approx. 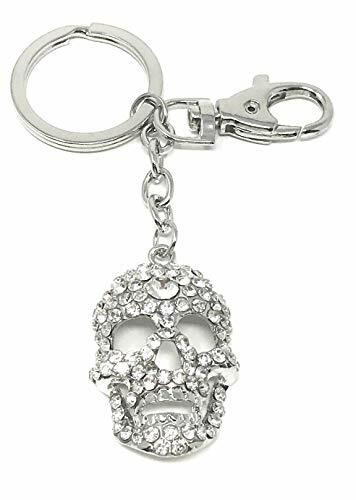 28.75"
Dimensions: Entire Keychain is 4.5 Inches Long, Pendant is 1.75 Inches Long Eye-catching blinged out skull Keyring. 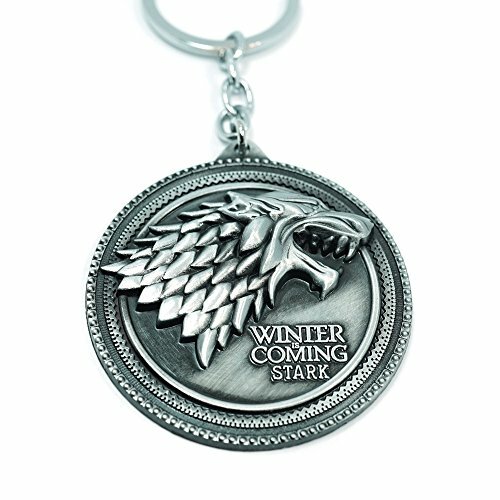 Made of sturdy, silver toned metal, it features a durable key ring with a lobster claw clip for a fashion accessory. 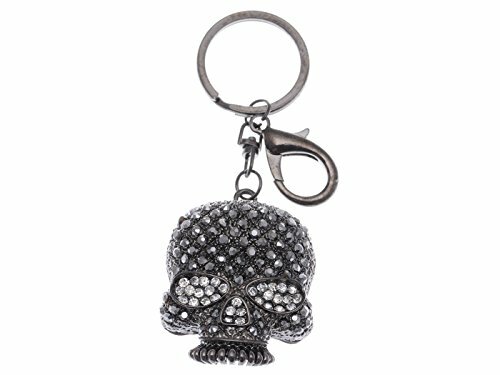 Total keychain size: 11.5 cm. 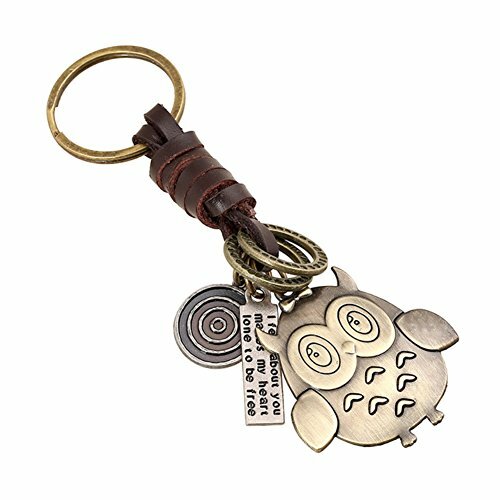 Smart owl charms size: 4.5 cm * 4 cm. 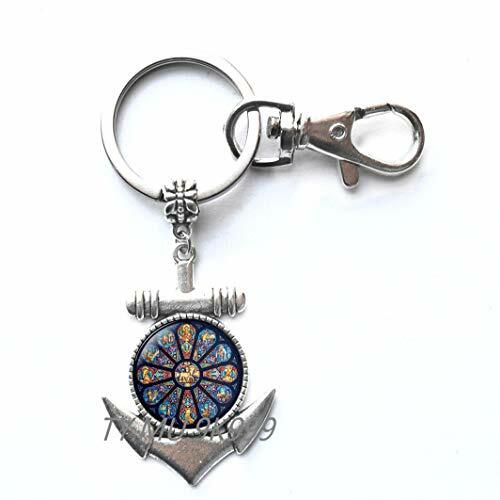 Material: gold bronze tone plated key ring and charms. Quality leather, soft and more comfortable to use. 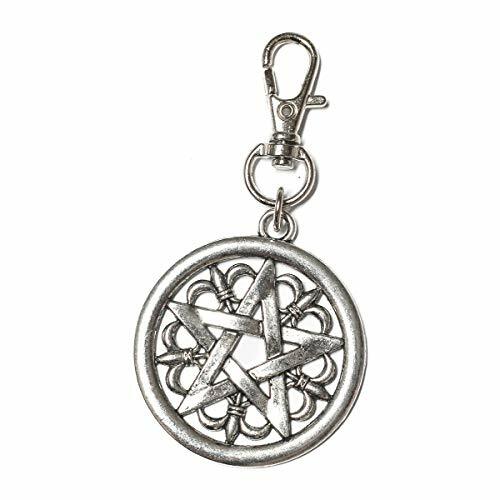 Various charm pendants: rings, engraved tag, owl. 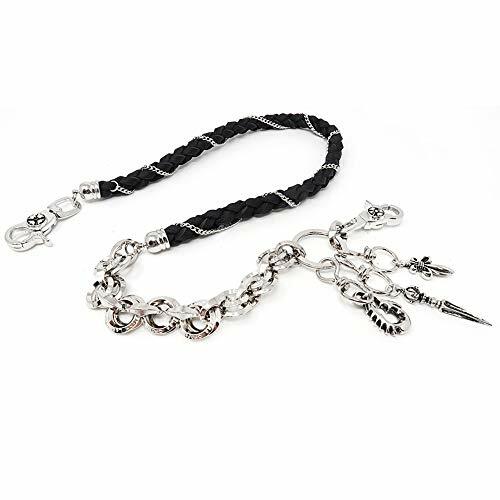 Highlight: Good quality, unique and fashion special design. 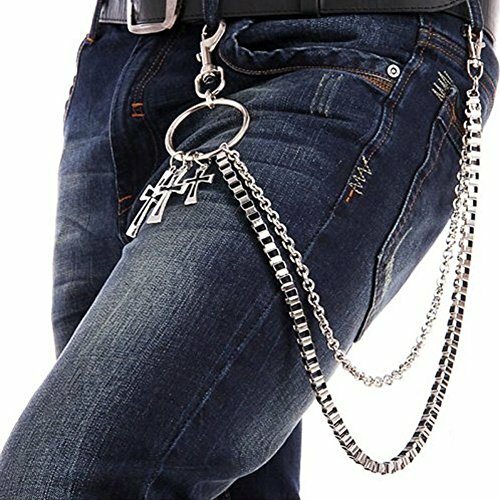 Vintage punk style design concept, detailed with on trendy fashion charms.